Panasonic says that the Toughpad A1 is 'military-type' and one can expect premium price for reliability - water-proof, dust-proof and shock-proof. Obviously this Android tablet is targeted at organisations and individuals who require rugged computing devices. If you want to own the toughest tablet in the market, this is it. Size-wise, it is bigger than both the iPad 3 and the Galaxy 10.1 but while powered by Android, this guy is in a league of its own. SINGAPORE: Panasonic's first Android-based computer tablet designed for tough environments such as battlefields was unveiled at a major regional telecom fair here. 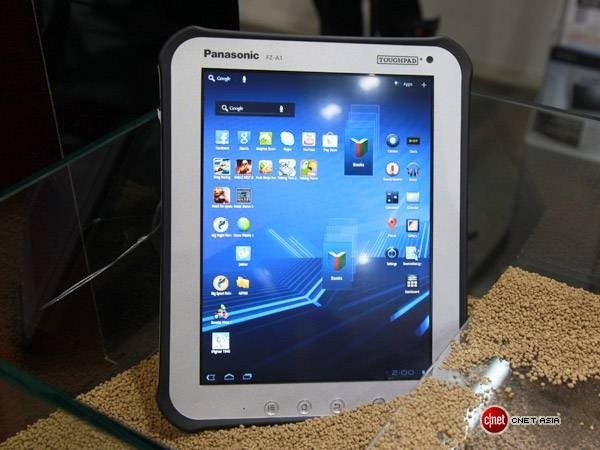 It was the first time the "Panasonic Toughpad A1" was showcased in Asia, where company officials said there is a huge demand for such a rugged device. Satoshi Mizobata, a director at Panasonic's Toughbook Asia Pacific Group, said the device is the firm's first rugged tablet computer using the Android operating system. Previous Panasonic "toughpads" use Windows. "It's military-type," Mizobata told AFP at the Panasonic booth at the CommunicAsia telecom trade expo that opened on Tuesday. "It is waterproof, dustproof and shockproof." The device weighs 0.97kg and its 10.1in LCD display allows the user to read even under the sun while it is tough enough to withstand being dropped from a height of four feet (1.21m). It also has a nine-hour battery life. Amos Tio, Southeast Asia general manager for Toughbook Asia Pacific Group, said the gadget will launch in the region in September and in the United States in August. 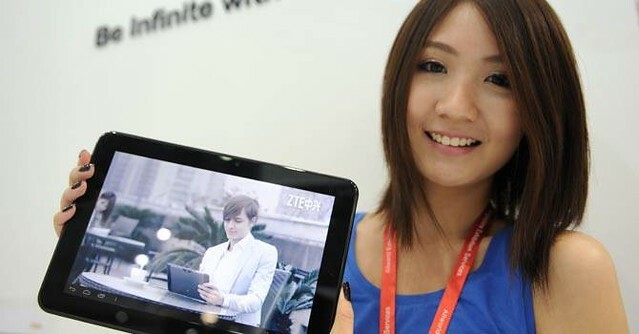 The rugged tablets are popular in industries such as defence, utilities and construction, as well as by workers in Asia's vast palm oil plantations, company executives said.